When we first started to explore the major archeological sites of Mexico such as Uxmal, Tulum, Chichen Itza and Palenque, each visit was an adventurous trip to an out-of-the-way destination. Few people were willing to chance the rough roads and limited places to stay. So the ruins were pretty much free of other tourists and we could explore to our hearts’ content. Today tour buses ply splendid highways bringing hundreds of tourists to the many hotels that surround the ruins, and tour guides lead crowds of people hurriedly through well-guarded sites. If you’d prefer to experience out-of-the-way and far less populated archeological sites, we suggest driving east from Oaxaca through the state of Chiapas, to the River Usumacinta, which forms part of the boundary between Mexico and Guatemala. 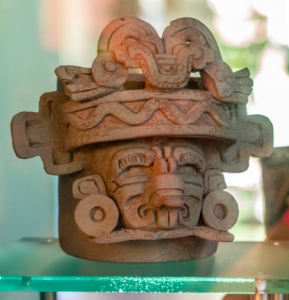 Two Mayan archeological sites well worth a visit are located here – Bonampak and Yaxchilán. So remote is this part of Mexico that these major sites, which have been there for perhaps 1500 years, were only discovered by scientists about 70 years ago. There are guided day tours to these sites from Palenque that rush through in minimal time. So to avoid these groups, we suggest staying at one of the ecotourism centers run by the indigenous people. The rooms are spare but clean and the food digestible. Internet is hit or miss. 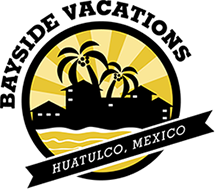 If you plan to turn on your mobile phone on this trip, you will need to have telephone service in Guatemala, as there are no cell towers of Mexican companies anywhere near here – all the residents of this part of Mexico have Guatemalan phones. One of the sites, Yaxchilán, is accessible only by boat, and if you stay at the ecotourism center where the boats are docked overnight and leave early, you can be sure there won’t be many other tourists there when you arrive – no tour buses, no concession stands, no umbrella vendors to help you keep the sun off your head. If you glance quickly at a map, it may appear that Yaxchilán is in Guatemala, but the Usumacinta River takes a big looping swerve there, making a kind of bulge jutting part of Mexico into Guatemala. The Mayans who lived here benefitted from this geographical anomaly by being guaranteed an effective defense during military conflicts with other cities. A memorable part of the visit to Yaxchilan is the boat ride through dense tropical forest – you are surrounded by sounds of birds, monkeys, and other animals, so loud that you know you are nowhere near civilization. On the day we visited, the river fog was so dense that you could not see either bank, nor what obstacles might be in the water ahead. The boat driver, wending and weaving, relies on years of experience to get you to the entrance of the site. Signs at the entrance to the site describe the rulers and concentrate on the reigns of the Jaguar dynasty from the late 600’s to the early 800’s. The gracefully decorated temples, palaces and other civic buildings loom peacefully over the broad flat grand plaza and are shaded by immense trees that are hundreds of years old. Intricately carved steles rest toppled over in places where archeologists and vandals gave up trying to move them. From the fact that some steles were found at the bottom of the river, we know that their weight made it impossible for would-be thieves to float them down river. One major “acropolis” soars up from one side of the grand plaza. The climb is steep and the steps far from secure. Another smaller acropolis can be viewed from below at a distance or accessed from a secondary path that climbs to the rear of the building from near the entrance to the park. You need considerable stamina, and plenty of time, to explore the entire site, but we were content to visit just the grand plaza edifices. While our younger and more able friends climbed, we sat communing with monkeys, lizards, and hundreds of brightly colored butterflies. We also had a chance encounter with a small group of shy javelinas (peccaries), pig-like animals perhaps related to ancestors that the Mayans domesticated and raised for food. The large Mayan cities that once pulsed with life at Yaxchilán and Bonampak were sometimes sister cities and sometimes bitter enemies. As a result, there are artifacts, decorations, and glyphs at each site that helped archeologists understand the other site and the history of trade or warfare between the sites. At Bonampak are the most colorful, complex, detailed and well-preserved wall paintings and sculptures from the Mayan period of any location in Mexico. Indeed, the word bonampak in the Mayan language means “painted walls,” but even some of the ceilings are decorated. Included are paintings of dances, battles, and the sacrifice of slaves, leaving little doubt that decapitation and other forms of bloodshed were considered an important part of royal life. From the elaborate paintings of a military victory over Yaxchilán on these walls, archeologists were able to decipher steles at both Bonampak and Yaxchilán that recorded governmental actions or commemorated events. The most important paintings at Bonampak are inside windowless buildings, which undoubtedly explains their survival through the centuries. The only light comes in dimly through the open doorways. So if you want to see the paintings well – don’t tell anyone we suggested you bring a modern LED pocket flashlight. Over the centuries, the murals had been dulled by a layer of salts that were deposited on the surface, but recent removal of these minerals (as described on nearby signs) has restored the paintings to their original vibrancy. After your visit, you’ll want to return safely to the place where you started your trip, for which a good GPS will be needed. Also, follow the advice of local residents concerning roads to avoid at the time you’re there. Buen viaje!